MPS is considered an important part of the Oblate charism of being “close to the people”. 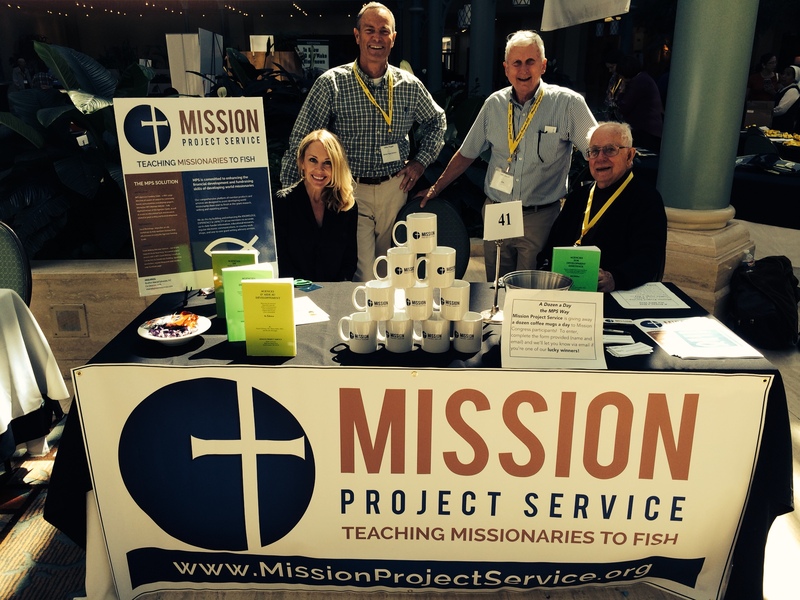 At the most basic level, MPS “teaches people to fish” by providing Catholic missionaries specific funder information, research resources and practicum experience in the areas of grant writing and communications. 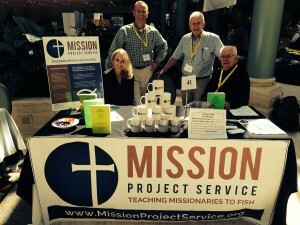 For several years, one of the services of the Missionary Oblate Partnership has been “capacity-building,” teaching developing-world Oblates and their collaborators “how to fish,” providing workshops on grantwriting, financial development and leadership. During the week of January 20-25, the Partnership traveled to Chennai, INDIA and delivered 2 workshops to Oblate leadership from India, Bangladesh, and Sri Lanka and an additional 2 workshops to local Oblate superiors of the India Province along with the women religious with whom they collaborate. 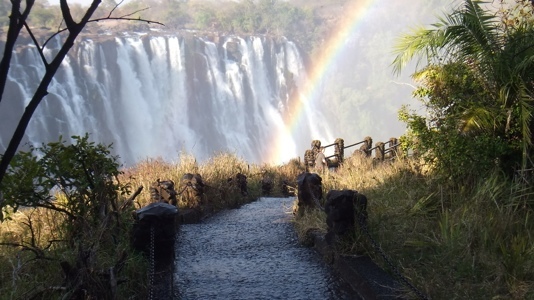 An Oblate Youth missions has just arrived to Zambia where they will spend the next couple of weeks getting to know the communities and missionary work of Oblate missionaries there. Called “Oblatepalooza”, this is the first Oblate Partnership mission experience for youth imagined and sponsored by an anonymous Missionary Oblate Partner and who is also donating a significant grant for missionary work in the region. 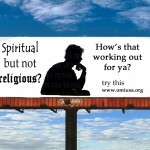 …what would your message on some billboards be, to move people to consider the role of faith in their lives? That is the question that several Partners and Oblates involved with “Invitation To Faith” (ITF), a billboard campaign jointly sponsored by the Partnership and the US Province, have been asking in discussions held over the past few months. US Province delegates to the campaign are Art Flores, OMI , Greg Gallagher, OMI, and Will Shaw from Oblate Media. Partners involved include Vince Miller, Ed Murray, HOMI, Artie Pingolt, Tom Singer, OMI and Alicia von Stamwitz. Cameo appearances have also been made by Jim Brobst, OMI, Allen Maes, OMI , Tom O’Valle, OMI and Bill Undertajlo. 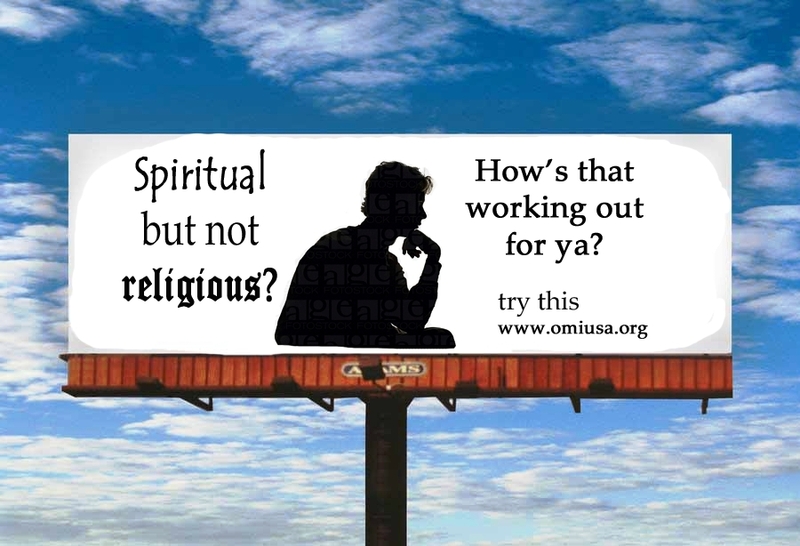 Invitation To Faith will be launched in the first quarter of 2013 , with billboards in the St. Louis and Houston areas. The campaign has been made possible by Vince Miller, who orchestrated the gift of 7 billboards, for one year, from the Drury Corporation. Will Shaw has also recruited pro bono creative guidance from the Belleville firm InFocus Marketing. Private donor funds will be raised to create the large printed vinyl sheets that will be mounted on the boards and a grant application is being submitted for the “back end” portion of ITF. The “back end” resources of the campaign will include a dedicated internet location for responders, leading to dialogue via email, phone or special events with select Oblates who will comprise the Billboard Pastoral Team (BPT). What is known now is that millions of people will see the message once the boards are up. Look for updates on Invitation To Faith in 2013! 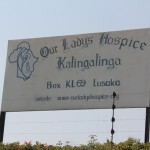 Our Lady’s Hospice was founded in 2001 in Kalingalinga, a neighborhood of Lusaka, Zambia, when caregivers were first trained for a Home-Based Care program for people suffering from HIV/ AIDS. 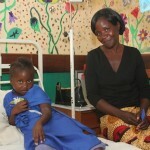 Kalingalinga is one of the poorest areas of Lusaka and has a population of around 200,000 – 250,000 people. 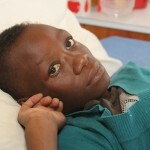 The public hospitals are overflowing with terminally ill patients, and there is a need to house and care for these patients. 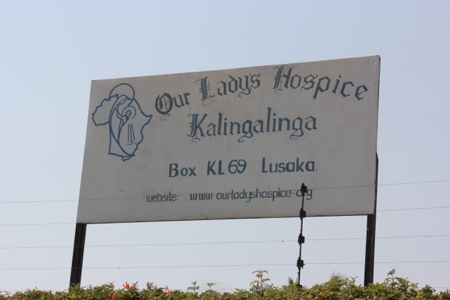 The Zambia Delegation of the Oblates of Mary Immaculate was one of the four religious congregations involved in building the Hospice that helps providing palliative end-of-life care for patients with HIV/AIDS. 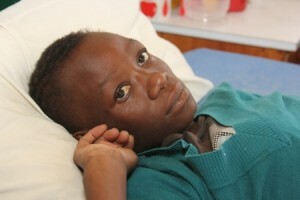 The first inpatients were admitted in 2003. 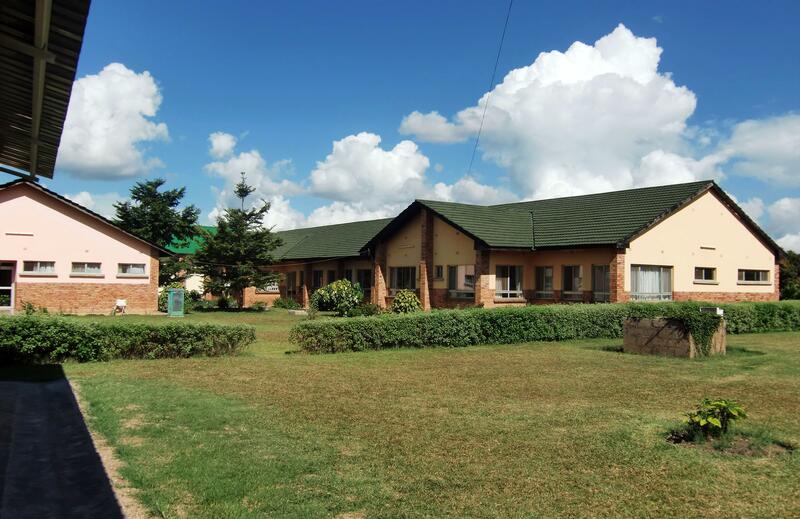 Free Anti-Retroviral drugs came in 2004 and revolutionized the care that the Hospice offers to HIV+ clients. 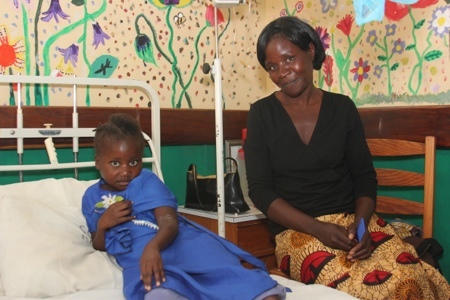 Today, the hospice runs an Outpatient Clinic, a Children’s Clinic, and offers inpatient services through 30 beds spread across wards – St Joseph (male ward), St Anne (female ward), St Clare (income generating high cost ward), St Jude (semi private), and Maluba House (Children’s ward). 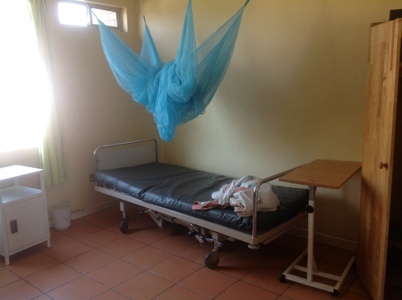 St Joseph and St Anne are the general wards, and patients admitted to these wards are provided with clinical and nursing care, meals and drugs for a nominal fee that does not cover the cost of care. 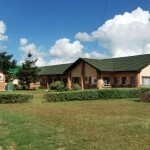 Also, a hostel has been built for volunteers to stay in. 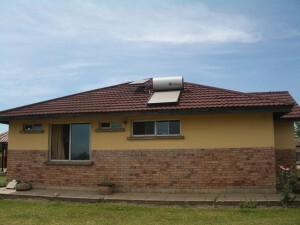 The Oblate Partnership also ssisted the Hospice to obtain a grant for $5,000 to purchase and install geysers to provide hot water for showers in the male ward and the hostel, all other wards already had hot water. 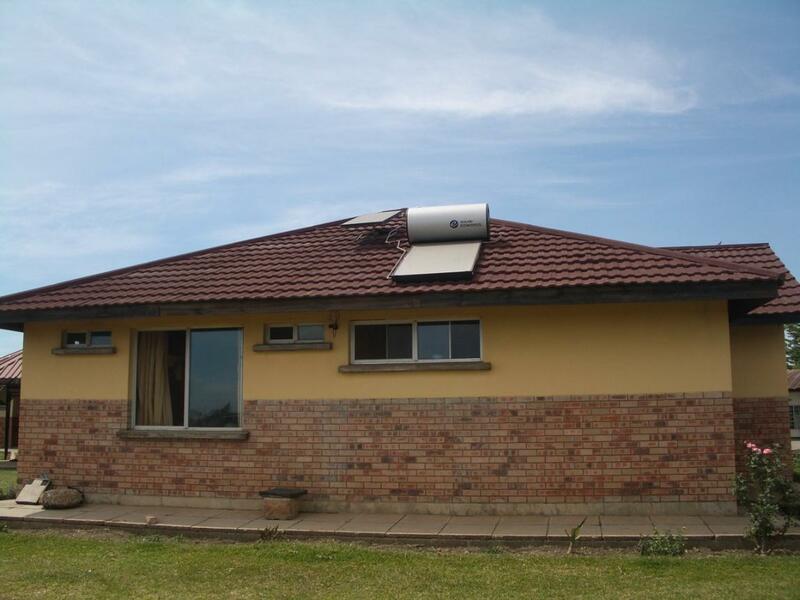 The geysers are now installed and working well and the patients are benefiting tremendously from the availability of running hot water. 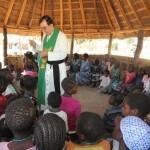 The Oblate Santo André Oblate Parish is situated in one of the poorest neighborhoods of Luanda, the capital of Angola. 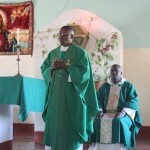 Most of the 16,000 parishioners are former refugees of the country’s 27-year civil war. 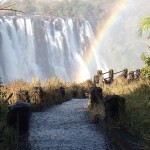 Angola is now as a post conflict country and has begun its reconstruction. During the period of civil war, many children and youth could not attend school for reasons, such as being orphans of both parents, poverty, being refugees, or for lack of functioning schools in the areas they lived. The result is a current high number of illiterate adults that are at disadvantage at finding employment. 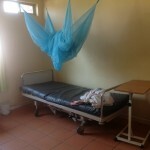 Particularly vulnerable among these persons are young women and girls. 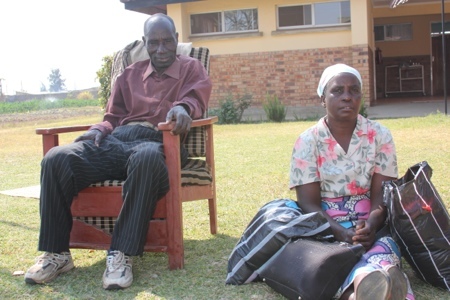 Many of them not only did not attend school but got pregnant very early in life either because they had married very young or because they were forced to live with men in order to survive the war. Rather than completing secondary school, many of these young ladies want to get their lives back and to support their children as single mothers. Many times, professional formation is the only alternative they have. 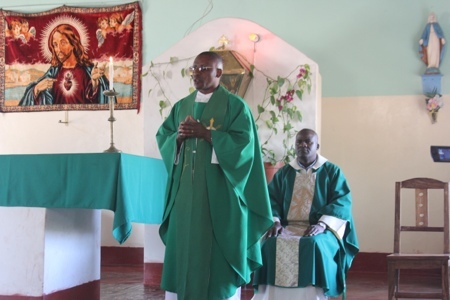 The courses are offered in a center that belongs to the Santo André Oblate Parish and is under the authority of ProMAICa (Promoção da Mulher Angolana na Igreja Catolica.or Promotion of Angolan Women in the Catholic Church), a Catholic women organization. 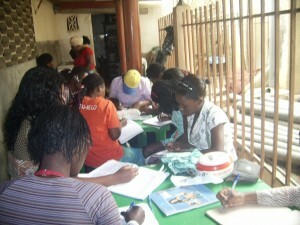 The center has a capacity to train 75 women and girls per year. Many of the attendees pay full or partial tuition but many others need financial assistance. The local Oblates address this situation and the sustainability of the program through strategies such as catering for local events, selling what the students have prepared, and providing the students’ services. 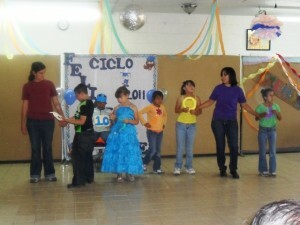 The month of June brought good news for the Special Children of Tijuana. 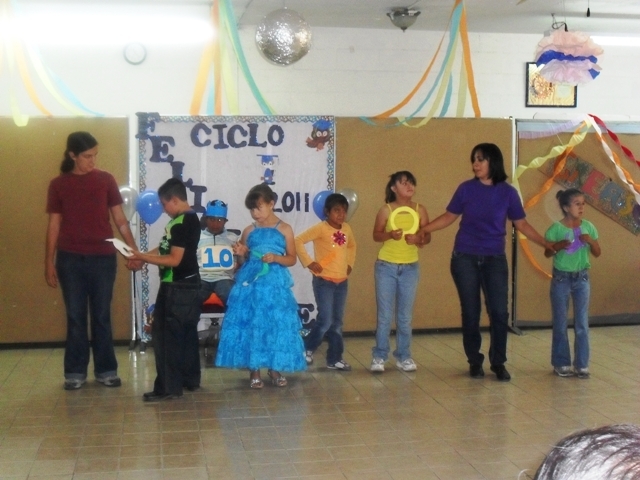 In 2009, the San Eugenio Mission started a “Giving Hope to Special Kids” Program to provide services to children with special needs (i.e. autism, attention deficit disorders, Williams Syndrome, sight and hearing deficiencies, and others) that are left behind by the local public school system. In June, the program received much needed help, a new bus to provide transportation to the center for these special children, and their families. 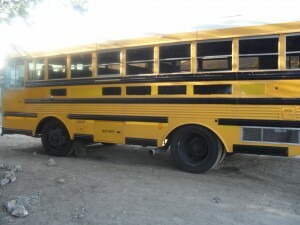 The new bus purchase was only possible thanks to grants from an U.S. foundation and the Mexican government. 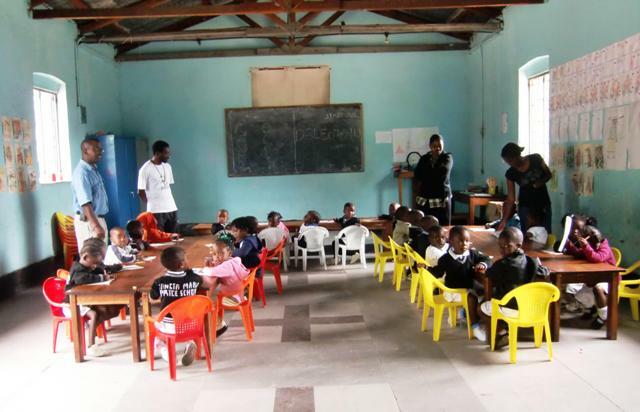 Staffed by a team that includes a psychologist, a social worker, a special education teacher, a language therapist, and a coordinator, the program gives these children a chance to be diagnosed and treated, as well as to learn. 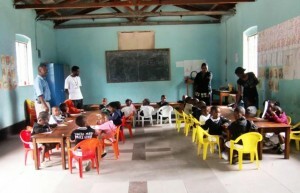 More that 140 young people have already been receiving these services for some time, but many more in some of the most remote areas of the mission were limited in their ability to travel to the community center where the services take place. To reach out to these latter children and their families, who do not have the ability to travel to the community center, and transport these children to the center and back everyday, last June the San Eugenio Mission was able to purchased a new bus. 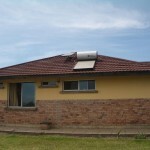 The purchase was made possible by a grant from an American private foundation and one from the Mexican government. 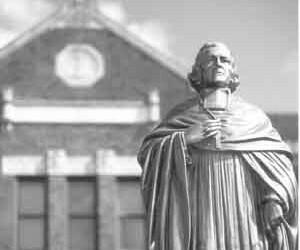 Today, May 21, we commemorate the Feast of St. Eugene de Mazenod and also the 151st anniversary of his death. and outside, zeal for the salvation of souls. 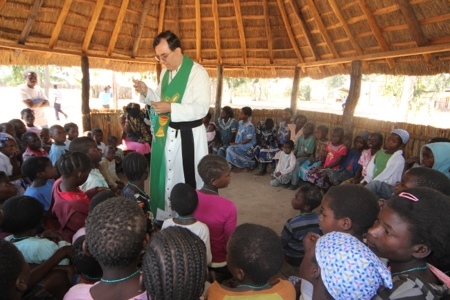 Today, more than 4,000 Oblate priests and brothers and thousands of associates located in 67 countries, are dedicated to the evangelization of the world’s most abandoned, the vision and charism first articulated by St. Eugene. Fr. 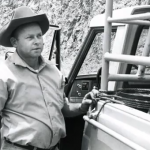 Ted Peifer’s “When The Wolves Came” is the title of a documentary about his missionary work to premiere this coming May in San Antonio, Texas. 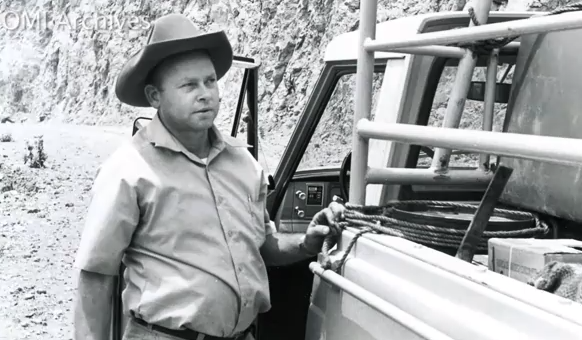 The film is based on Oblate Father Francis Theodore “Ted” Pfeifer, O.M.I., who served the indigenous people of southern Mexico for over 40 years. The documentary is based on his book by the same name where Fr. Peifer shares his life and missionary work. Fr. Ted is now retired and living in San Antonio, Texas where we talked to him about the events that are now at the heart of this documentary. and finally to help them become saints. 1818 Rule, Part One, Chapter One, §3. Nota Bene. Firstly, it was necessary to come into contact with the human reality of each one. “The Word became human and made his home among us” (John 1:14). Through their preaching and teaching the Missionaries aimed at helping people who are “wallowing in ignorance” about God and their faith to reflect and make decisions about their lives in a rational way. Over the course of 200 years Eugene and the Oblates have interpreted this call in a wider sense as referring to all the aspects connected with the human welfare of the person. The history of the actions of the Mazenodian Family continue to bear witness to this in five continents. Secondly, to help people to become more deeply Christian by “teaching them who Jesus Christ is” and inviting them to enter into a life-giving relationship with God. Finally, the call to help people to become heroic in their response to God. “No one has greater love than this, to lay down one’s life for one’s friends. You are my friends if you do what I command you” (John 15:13-14). To become saints – to be so fully imbued with the values of the Kingdom of God so as to share its fullness in the Resurrection. Saint Eugene, Blessed Joseph Gerard, Blessed Joseph Cebula, and the Blessed Martyrs of Spain have been officially recognized as being saints. 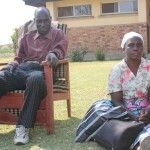 Eugene was convinced that everyone who lived the Rule fully was assured of a share in the fullness of the Kingdom. These were three steps necessary to achieve this: human, Christian and then saints. …they strive to bring all people – especially the poor – to full consciousness of their dignity as human beings and as sons and daughters of God.